© Provided by Fox News The man in a cat onesie allegedly burglarized cars and garages. 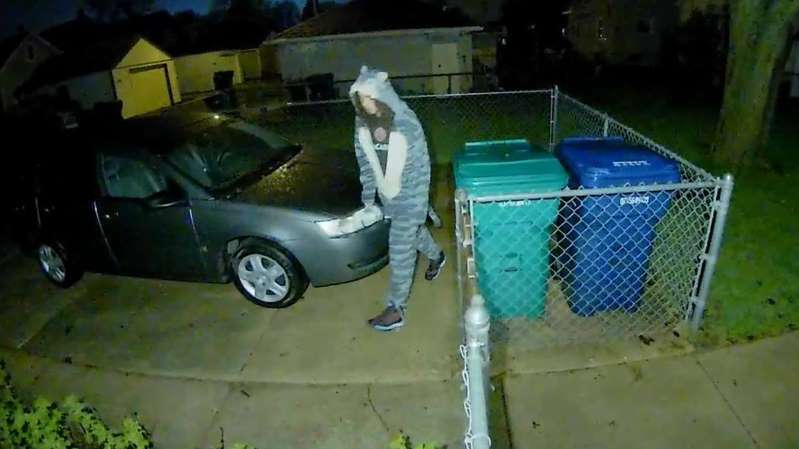 A man spotted pussyfooting around driveways and allegedly breaking into cars in Wisconsin while sporting a cat onesie was arrested Saturday, police said. The man, who was not immediately identified, is expected to be arraigned in the coming days, according to FOX6 Now. The man was spotted on surveillance footage around homes in St. Francis on May 12. A resident caught the suspect early that morning in a onesie near his car, according to the station. Police said several properties in the neighborhood were burglarized. Ami Klimaszewski said she felt violated after the man was allegedly snooping around her garage. “My entire drum kit was stolen. My bike was stolen. My son’s wagon. Two of our guitar amps,” Klimaszewski said, adding that her car passenger seat was lit on fire.